The Consult mentoring programme is a partnership between BCG and Rare to develop candidates and increase the number of black graduates working in consulting. Competition for consulting internships and graduate roles is fierce. The application and interview process is rigorous. BCG uses a range of assessments including interviews, case interviews, and numerical and case tests. Each year, applicants who are otherwise excellent fail these assessments. With your hard work, and the support that Consult provides, you'll give yourself the best possible chance of securing a summer internship and a graduate position. Work on personal goals for the programme, case preparation, and commercial awareness. Learn what you can do as a consultant, work through cases, and how to best prepare for the application and interview process. You will have the opportunity to speak to a group of BCG mentors. This will provide an invaluable opportunity to understand what the life of a consultant is like. BCG will host two sets of group sessions at their London offices to provide an insight into their recent projects, offer advice on case practice and answer your questions. Sessions to help you to complete your summer internship application. Access to industry professionals from every level of the business. Are you a black student in your first year of a three-year course or second year of a four-year course? Did you achieve AAA or equivalent at A-Level? 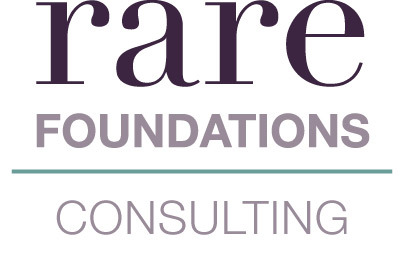 All applicants to Rare Foundations: Consulting will be considered for the Consult programme. If you cannot attend the Rare Foundations: Consulting event on 4 April, please still make an application to be considered for Consult, clearly indicating that you cannot attend at the end of the form.